We have an exciting programme of events for Autumn 2018, including practical workshops, Green Open Homes weekends and a fascinating talk on the global politics of sustainable energy. Find out how to run a wood stove cleanly and efficiently. Hosted by a MHSG member. Please email info@mhsgroup.org to book your place. 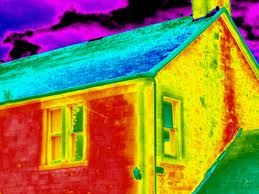 Find out how to run your home to save energy and money this winter. Energy-saving products for sale. Muswell Hill Methodist Church, 10 Pages Lane. N10 1PP. Tea and biscuits provided. Visits to local energy-efficient homes – hear first-hand from householders how to make your home more energy-efficient. For details email info@mhsgroup.org. A second day of visits – see details above. Repeat event – please see details for Tuesday 9th October above. Speaker Meeting: “Global Politics of Sustainable Energy – Markets, Diplomacy and Super Powers” Neil Hurst, Senior Policy Fellow for Energy & Mitigation at the Grantham Institute for Climate Change, Imperial College, London. Muswell Hill Methodist Church 10 Pages Lane. N10 1PP. Tea and biscuits provided.